There are various wart types and associated treatments. The type of treatment you should proceed with, in order to safely remove warts, will greatly depend on the type that has appeared, and its severity. Luckily for you, the Beaver Valley Foot Clinic is here to help alleviate all of your wart issues and foot discomforts. We offer several different wart removal treatments, for optimal success and comfort. Cryotherapy is a treatment of warts that literally freezes them away. This treatment method uses swabbed liquid nitrogen, which causes a blister to form around the wart within a week. The area can be numbed prior to cryotherapy, if desired. Topical medication options are another common wart treatment method. These topical treatments have salicylic acid within their recipe, which works by removing the wart’s layers a small bit at a time. 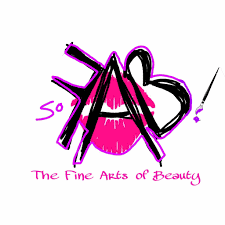 Salicylic acid topical medication treatments can be applied at home, as directed. If your wart has developed into a severe case, a minor surgical procedure or further intense treatment may be needed. Surgical procedures involve the use of an electric needle, and are avoided unless absolutely necessary. Laser treatments wart removal, by incorporating IPL pulsed dye lasers which remove the small blood vessels attached to the wart (causing it to die and fall off). Prevention is the best medicine for health issues of any kind, warts included. Making sure to do a few things, such as avoiding contact with the wart as much as possible, cleaning your hands thoroughly after touching it, and changing your shoes and socks regularly, will go far in preventing the spread of the wart, as well as preventing its recurrence. 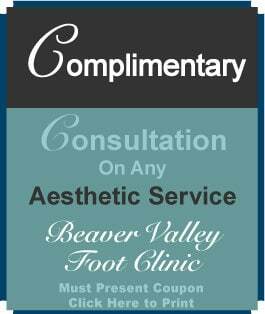 At the Beaver Valley Foot Clinic, we have everything you need to remedy your wart worries and foot discomforts. Some patients may require repeat treatments for full results, but be it cryotherapy, topical medications and otherwise, the Beaver Valley Foot Clinic is here to offer successful remedies for your foot issues and discomforts. 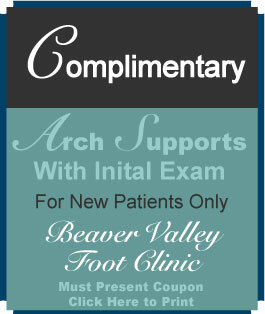 Contact our experts at the Beaver Valley Foot Clinic today by calling (878) 313-3338, now!